Do you know what are the most sought-after jobs in the job industry? 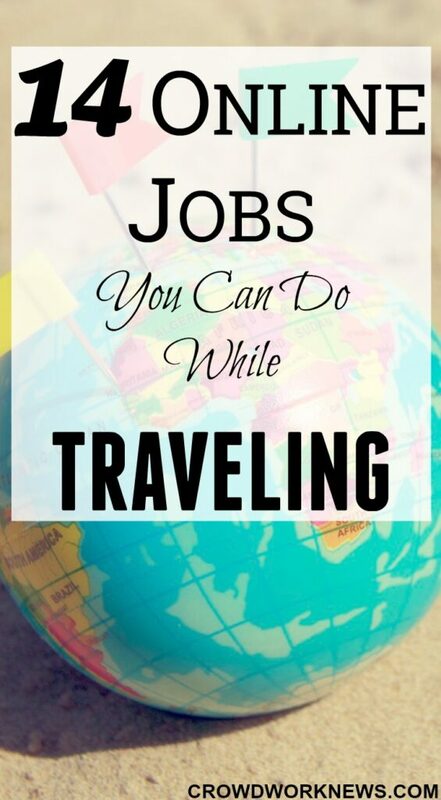 Location-Independent jobs or jobs that let you travel. These are the online jobs you can do from anywhere in the world. Whether you are a digital nomad or someone who is on vacation most of the time, these jobs can help you create a reliable income source working online. Traveling is great for many reasons and earning a steady income on the go can fulfill your financial needs. Imagine the freedom to work from anywhere and travel. I love traveling. In fact, that is the most significant advantage I have with my blog. If you are looking for a total location-independent remote job that gives you the flexibility to work from anywhere, then dig into this post. This is by far the most rewarding and flexible work option if you want to travel and work. The best part about blogging is that you can fulfill your passions and your income potential is unlimited. Blogging also gives you the freedom to work online from any part of the world as it is completely location-independent. 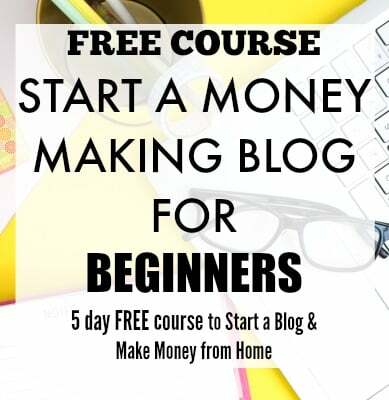 I started blogging a little over a year ago and earned over $36,000 just in the first year of blogging. I have no particular skills or expertise to do this. If this is something you want to do, then check out this simple step-by-step tutorial to get started. Online tutoring is another excellent online work option that you can do if you travel a lot. Tutoring can be done entirely online through Skype or other software like GoToMeeting. All you need is a good laptop, headphones and reliable internet connection. Online tutoring can be done with more specific subjects or just English. There is a lot of demand for teaching ESL for international students, and it pays well. VIPKID has indeed become popular in recent times for online English teaching classes. You can earn $14-$22 an hour with this company. If you are looking for more teaching companies, then head over to this post. I have seen frequent travelers working as VA’s a lot. If you don’t know what a Virtual Assistant is, check out this post. They are virtual customer service professionals with more varied responsibilities. Virtual Assisting is location-independent as your work is entirely online. A beginner VA can earn anywhere between $35-50 per hour. If you want to look into this, then head over to this fantastic course which will teach you how to be a VA, where to get clients and many more details. It is one of the most reputed VA courses out there. Not sure what services you can offer as a VA? Grab this FREE list of 150 services you can offer and get paid. If you are a qualified nurse and love traveling, then you don’t need to worry about your income while you carry on your nomad life. Travel nursing can be an excellent fit for you if you want to live an adventurous life. Based on my best research, travel nurses get paid more than registered nurses, but they also have more extended shifts. The kind of freedom you get to explore and live a nomad life is possible by being a travel nurse. This is another possible option for you when traveling. Au pair is a person who lives with a family abroad and learns a language in exchange for taking care of their kids. This arrangement is excellent for many reasons as it gives you a chance to learn a new language, explore their culture and get a free stay in a foreign country. Au pairs also get little pocket money from the host they are staying with. This is a very less explored option which can be quite beneficial for many reasons. One of the unique travel jobs! If you love being on social media, then you can potentially work as a social media coordinator/consultant. Social media coordinator manages all the social media channels of brands, blogs, and other small businesses. Producing good content and engaging with consumers is one of the major requirements for this role. The big plus of being a social media coordinator is, it is very much a remote role and can be done from anywhere. You can choose freelancing websites like Upwork or Freelancer.com to look for projects. Though technically you might not get paid to house sit, this gig can give you free accommodation when traveling. This, in turn, means you save loads of money while on vacation. It can be an added advantage if you love pets as most of the house owners will leave their pets to house sitters for care. Living in the house for free and playing with the pets are surely some perks for this travel job. Of all the gigs, freelance writing could be easily one of the highest paid ones. I know many freelance writers who earn a good six-figure income writing from the comfort of their homes. Freelance writing could be a great online opportunity if you plan on traveling. Holly of Earn More Writing is the best example of this. She travels around the world and yet earns a six-figure income with her freelance writing. Are you a shutterbug? Then you can be looking at a promising way to make money while your travel. Freelance photographers earn well, but it does take some time to train and learn the skills. If you are a photography lover, then you can enhance your skills at places like Digital Photography School, Lynda or KelbyOne. These websites have great courses on photography and editing. A freelance photographer can easily earn upward of $30 per hour depending on the place and kind of photography projects. Did you know that you can make money while on vacation as a tour guide? Yes, it’s true. You can show the beautiful locations and give guided tours to other travelers. If your travels are longer and you are a digital nomad, this will suit you perfectly. 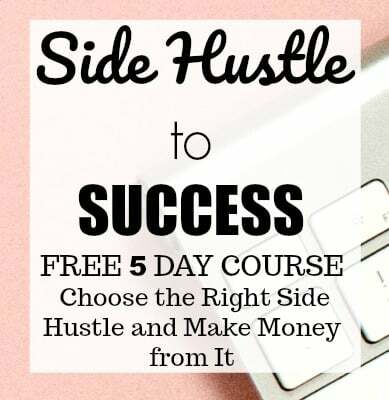 If you want to know how to go about this, then I have interviewed Alexandra Kenin, who started tour guiding as a side hustle and successfully built a business. Being bilingual has it’s own advantages. If you know more than one language, then this can be a great way to monetize your skill when traveling. Translation is a multi-billion dollar industry, and you can surely find something to start with. Try websites like TranslatorsCafe or ProZ. These sites have translation projects that get regularly posted. If you want to give this a go, be sure to select the projects you can confidently go with. Do not try complicated gigs. Well, no remote work is complete without the passive income capability of Airbnb. I travel a lot with my family and mostly use Airbnb’s. The kind of money you can make with Airbnb is excellent if you travel a lot and want to make some passive income with your house/apartment. It’s a great way to make money with your home while you are you are on your vacation. Another great opportunity which is explored very less but has a huge potential as a location-independent work. You can find projects like video ads, phone recordings, videograms, etc. You can become a voiceover artist and start making money from literally anywhere, the only things you would need is a laptop, mic, and headphones. Though Voiceover gigs are a little less to find, you can check websites like Voicebunny, Guru, Upwork. This is a short task platform that is mostly used for earning money through different gigs or services. You can do many things on this platform like offer social media marketing, create eBooks, do simple internet research, create graphics or design printables, etc. The options are endless on Fiverr. Use your skills and make money on Fiverr no matter in which country you are. That’s a big list of ways to earn money while traveling and it is undoubtedly going to be handy when you start your next trip. In these times, legitimately earning money should not be hard while you fulfill your dream of travel. So, whether you do a lot of family travel or you are a complete digital nomad, this list is going to help you make money without draining your bank account. Are there any other online work options for digital nomads? Please let me know in the comments. These are the best list. Thank you so much. I am glad it was helpful.